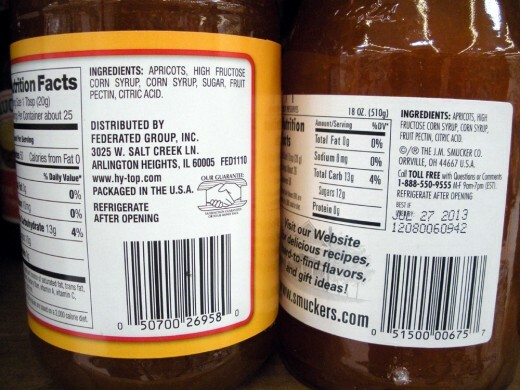 Brand Name Foods: Are You Getting What You Pay For? That's right. 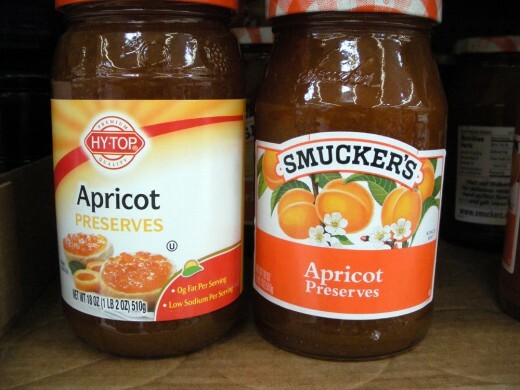 Read the labels, and compare for yourself whether or not there are any actual differences in the brand name vs. the house-brand food. The majority of the time, there are no differences. This is true of most anything, not just food. See, you have to think along the lines of how many thousands of brand-name products are for sale in the average supermarket. Let's go with canned soup for example. There may well be three or four assorted heavily-advertised name brands on the shelves, and a single, lonely house brand, (some folks call them "off-brands," or "generics"), sitting not quite so conveniently placed. Repeat for each and every food product in the store. For each manufacturer, you must now consider the size of the plant required to supply a nation-wide brand for just a single product. These places are huge. There must be a facility for intake of raw ingredients,and space for storage. They need a huge kitchen for mixing and cooking (if needed) the ingredients, then another area for packaging, more storage, and a shipping department. 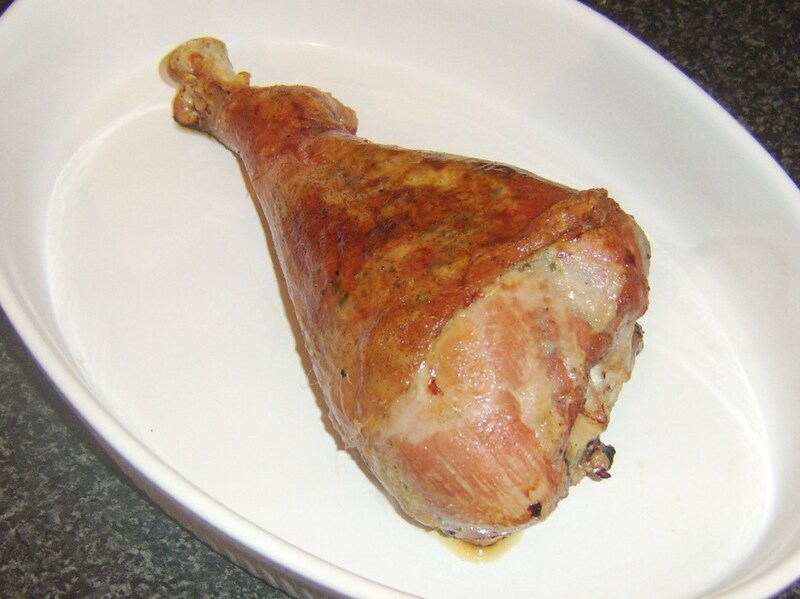 For some types of food, they can run multiple products on a single processing line, but still, the operation must shut down between for cleaning and sanitizing to avoid cross-contamination. It can still happen, though. This is why you will often see those food-allergy-warning statements on the label reading, "this product processed in a facility that also processes peanuts," for example: there is a lot to it. Okay--with all that in mind, given the already heavily-duplicated processing of the major brands, and the associated costs, do you really think that it would be reasonable, cost-effective, or even possible, for a single provider of private-label foods to have and maintain their own separate facility for processing and manufacturing everything from frozen hamburgers to cookies to orange juice? No. 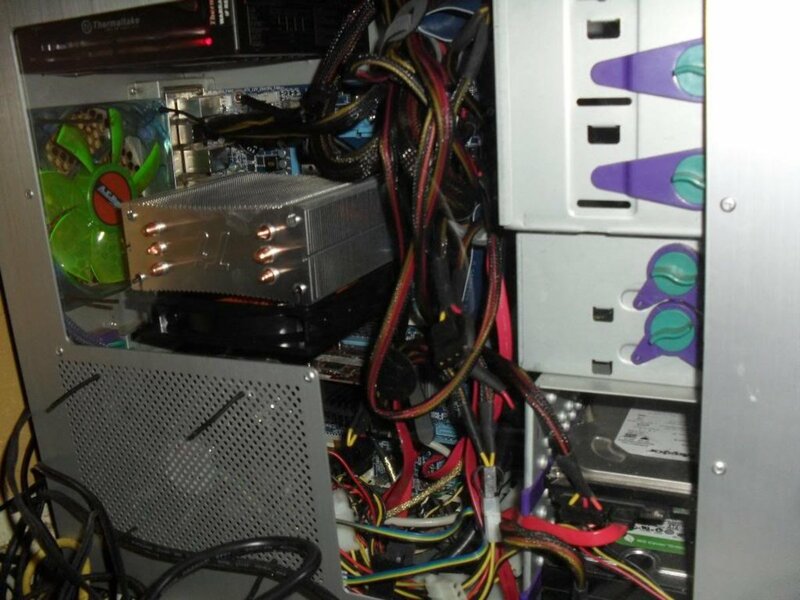 It is not either reasonable or cost-effective. So, how do they provide such cost savings to the consumer? Why, by having the already-geared-for-production brand name corporations making the foods for them, that's how! The major names already have the facilities; they are already making the product. It is far cheaper for them to continue running the same production line, and simply slap on a different label at the end, than for a private-label outfit to try and re-duplicate one or several entire processing plants. Don't ask them: they won't tell you. It's supposed to be a deep, dark secret! 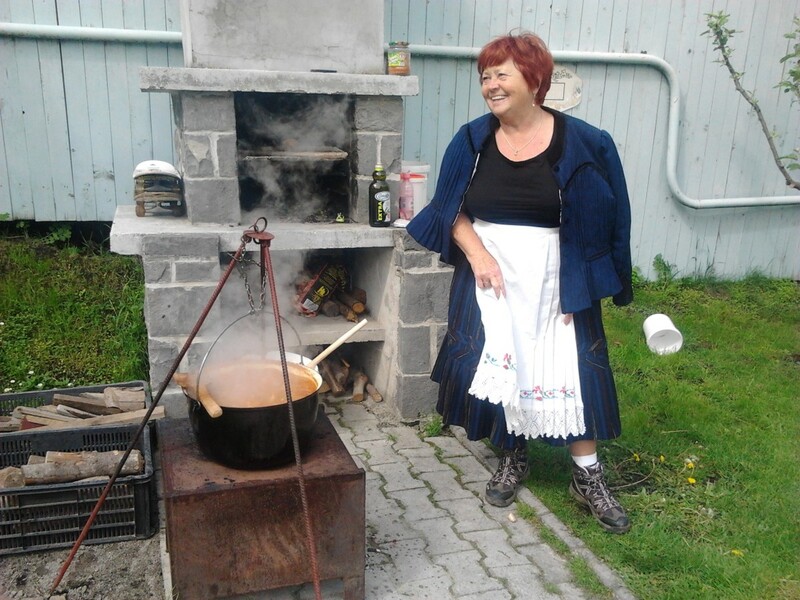 Some people (such as my own dear, late mother), insist they can "taste a difference." I assure you: nit's mind over matter. Do a blind taste test, and no one would be able to notice a difference. 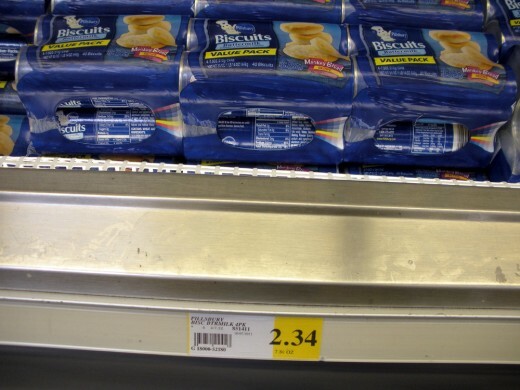 Once in a whle, you'll find the direct evidence on the label, such as the ready-to-bake biscuits pictured here. 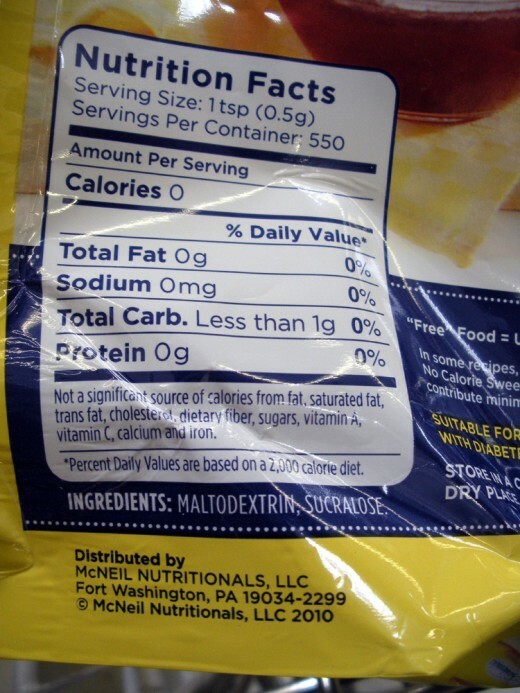 On the back of the package, the company "Sara Lee®" is plainly seen...although that is not the "main brand" shown on the front of the package. 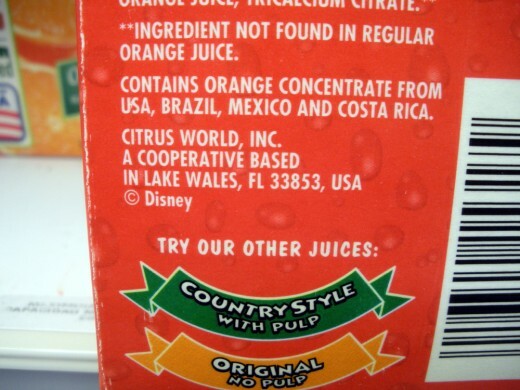 At other times, there is indirect evidence, as with the orange juice photos, in which case you can plainly see the exact same company and location listed as the processing plant. 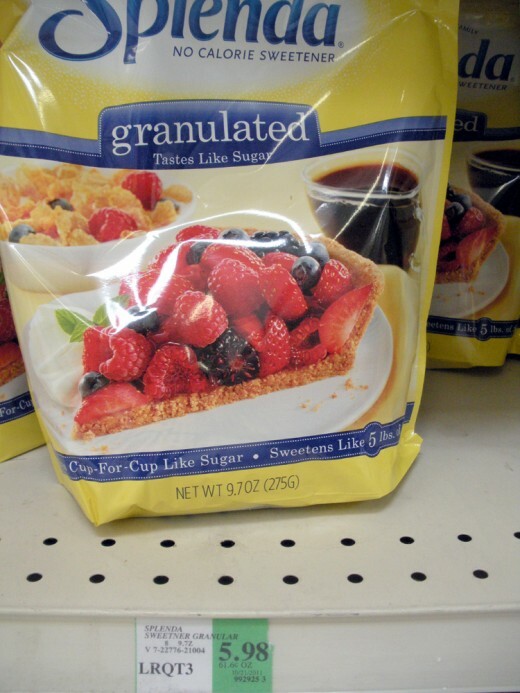 Most of the private-label foods I run into at WinCo Foods, though, simply say, "Distributed by Federated Food Group." That does not tell me specifically who made the food...but it does indicate that they did not make it. Distribution and manufacture are two very different things. 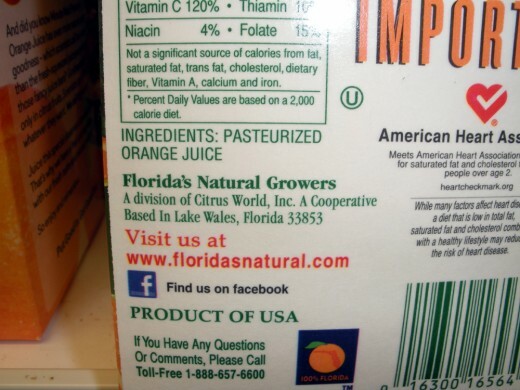 So, if this Federated Food Group is only a distributor, then they are warehousing product obtained from somewhere else. Right: the major name-brand corporations. So, they're still getting your dollars in spite of the fact that house brands are never advertised, and coupons are never (or extremely rarely) issued for their purchase. There are probably other distributors that serve other stores. Whoops--tricky so-and-so's! Gotta watch them. 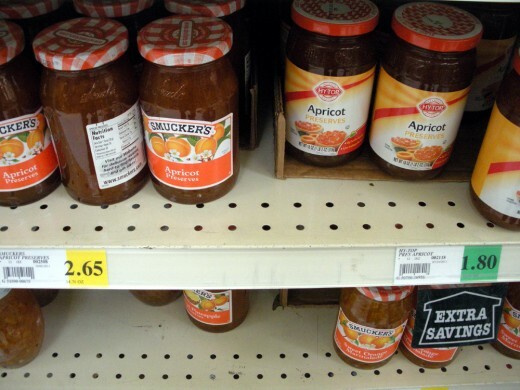 SOMEtimes..they do a price switcheroo, and make the name brand cheaper! 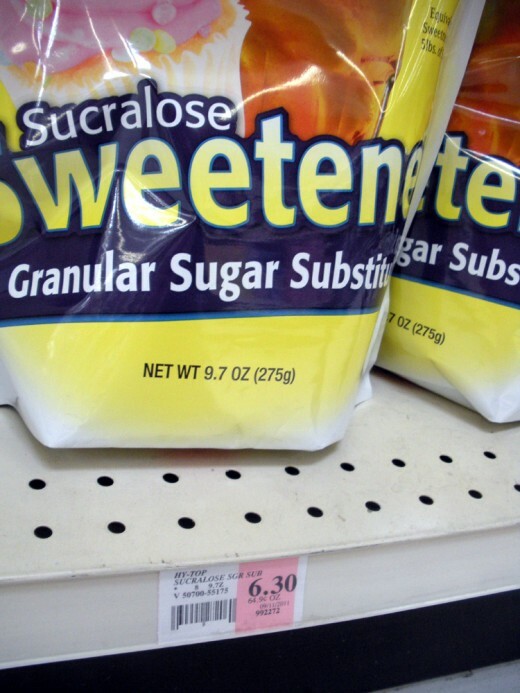 Here's the name brand sweetener, shown costing less! Grab it, quick! That doesn't happen often. House label sweetener--see? It's the exact same stuff inside! 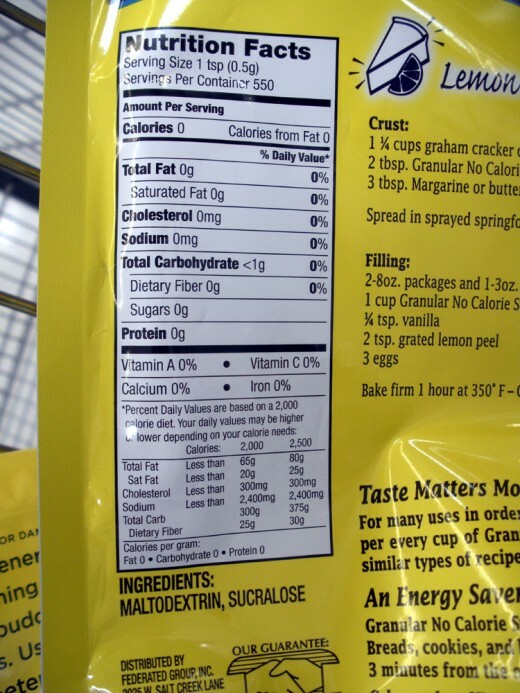 Many of the national brands that make private label foods don't want us consumers to know. It's a great big hush-hush secret, and very near to impossible to trace or track down who is making what products and for whom. Now, even though it is very costly, there actually are some very large private label makers who do, in fact, have their own full facilities. This omnipresent "Federated Food Group" may be one of them, but they aren't telling, insisting on calling themselves a "distributor." I wrote them an e-mail inquiring. I got no reply--it was ignored. Yep. Big secret. 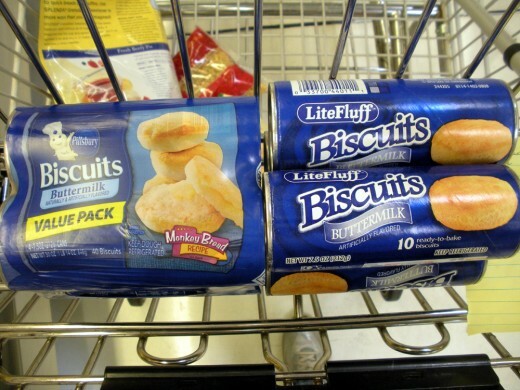 Sara Lee®, mentioned above, is one who does not hide their involement. Wake Up and Smell the ... Bread?? Oftentimes, not only the ingredients, but the entire recipe is identical, although you won't know or be able to prove that...and, they don't want it known. Sometimes, small tweaks are made, but not of enough significance to alter the product substantially from the name brand. 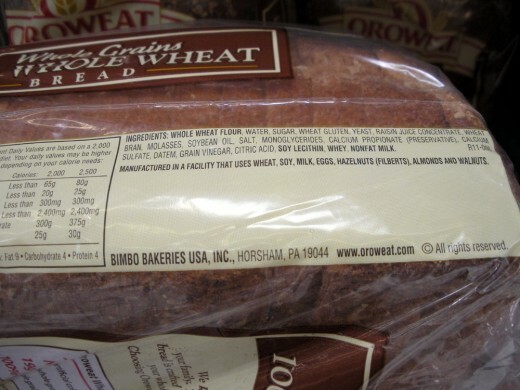 In another twist, while researching this article, I found a large well-known bread brand whose label indicated it was baked elsewhere by another bakery. Wow! And I even worked in their accounts payable department for 3 years, and did not know that tidbit! Your wallet pocket, that is. While, for the most part, it is true that the house brands are far cheaper than the name brands, every so often, you will find them switching it up on you with a couple of items. I've illustrated that stunt above with the artificial sweeteners. After all, grocery stores are a business, and their ultimate goal is to separate you from your cash. So, forewarned is forearmed--happy shopping! You are correct..point of origin can be important these days. We won't buy fruit or vegetables coming out of other counries, as they do not have the same safety standards about pesticide use as we do. I was just commenting on that the other day to my husband, saying, "You'd think that the gov't. 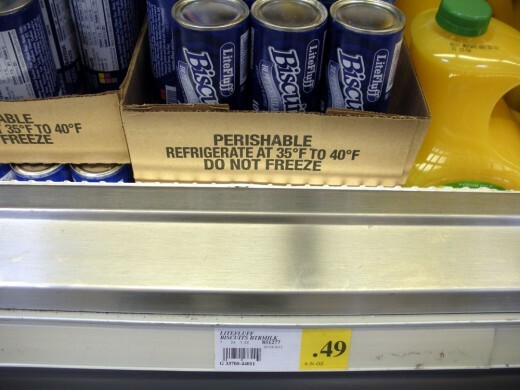 would enforce OUR safety standards onto imported foods!" ... Someone is getting paid under the table, methinks. Thanks so much for your comment...that was an excellent point. 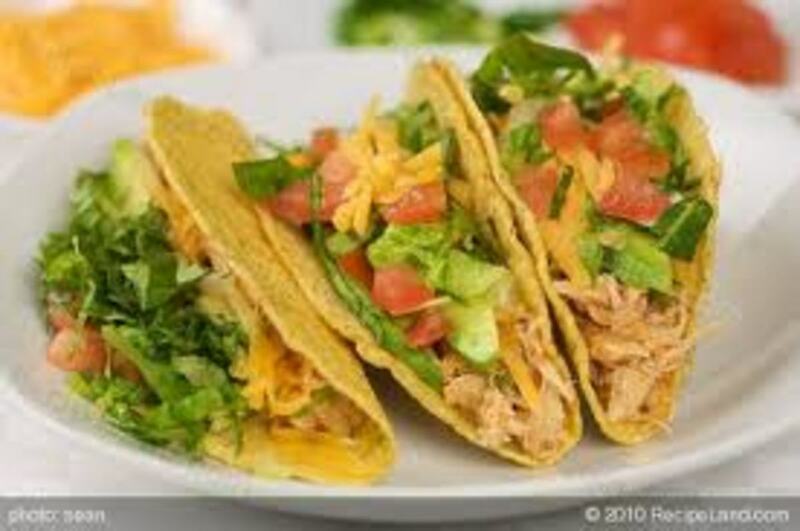 We use two determining factors when buying food. First is price, and second is the point of origin.